Women have played a role in Israeli fighting history from the very beginning. Today Krav Maga/Israeli self defense training, is being used to empower women around the world by preparing them for whatever might come their way. The style is perfect for today's independent busy woman and, in fact, has been adopted by many as their exercise and safety plan of choice.These women develop practical skills and practical strength and fitness; combat fitness. Response - Knowing how to respond to a threat or attack in real-time. Self-Realization - Knowledge of your own physical power, confidence that you know how to handle yourself. Today this is available to anyone who wants it and is willing to invest in themselves. Now, a little history of 'Israeli Fighting Women'. In 1948 Israel declared itself a state. After 2,000 years of wandering the earth the persecuted Jewish people came home to reclaim their birthright; an independent Jewish state in the Land of Israel. There were those who did not want to see this happen. They expressed their desire to "drive the Jews into the sea" and proceeded to attack. Six hundred thousand Jews faced off against the entire Arab world. The people of Israel were outnumbered, out-gunned, had no air force or navy to speak of, and very little fighting experience. No able bodied man or woman could be spared. Men and women fought side by side. Women were full participants in the war on every level, including spies, gun runners, and front line soldiers. The training the women received was the same as men; an early form of Krav Maga. They too would face perilous situations and would have to know how to survive. Women had been active in the Zionist military movements long before the establishment of the state. Going back to the 1880's Jewish women were taking part in military operations. In 1944 a group of Jewish paratroopers from the Land of Israel parachuted into occupied Europe in an attempt to help Jews escape. Among this group, Palmach members, were three women; Chana Senesh, Chaviva Raik and Sara (Surika) Braverman. Only Sara Braverman would survive; the other women were murdered. 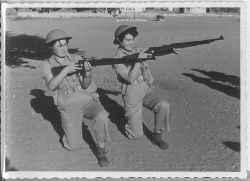 After the war of Independence, Braverman helped organized the Women's Corps in the Israel Defense Force. Sara Braverman, (sitting on right), paratrooper, fighter for Israel. Rachel Zeltzer was born in 1927 in Romania. Her studies were cut short by the Nazi regime. In 1941 Rachel and her mother were transferred to the ghetto. Her mother managed to get her out to smugglers who brought her to the land of Israel. When the War of Independence broke out in 1948 Rachel enlisted and served in Jerusalem. 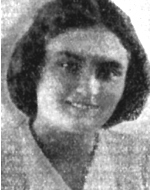 While serving as a sniper with the Lechi unit in the Old City of Jerusalem, she was killed in action. She was 21 years old. 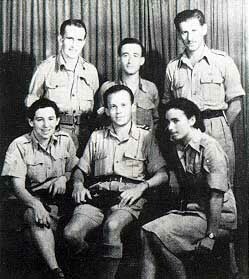 One Third of the combat soldiers of the strike force known as the Palmach were women. Women served as front line soldiers and even as combat pilots. 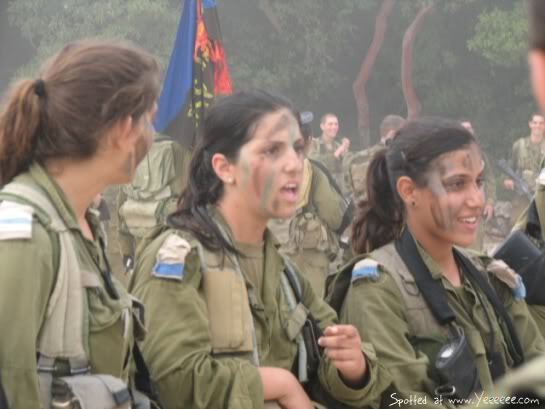 With the establishment of the State of Israel and the IDF, women were taken out of combat roles but continued to serve in the army and do basic combat training. Today women can serve as combat trainers and Krav Maga instructors. Today women in the IDF can serve in many combat related fields, including manning road blocks, Border police, artillery, and as combat trainers. Many also serve in a special unit that targets smuggles and terrorists. Can women really do Krav Maga effectively? The style relies on quick explosive movements; strike at vital points and escape. It is not designed as a ring sport and then "applied" or adapted to the street; it is designed for the street or any combat situation. There are no sporting rules, there is no letting up until you are safely away or your assailant is incapacitated. Thus it is perfectly suited for today's woman. Whether for fitness, combat or self defense Krav Maga is it. An excellent self defense tool for women is the kobutan self defense key chain.
. Krav Maga training can certainly empower a women. 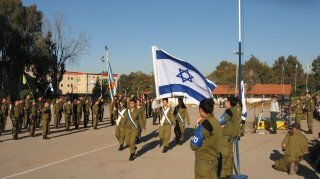 Many of our female students are currently serving in combat related positions in the IDF. Krav Maga Self Defense Training for Women . The story of a fighting people. 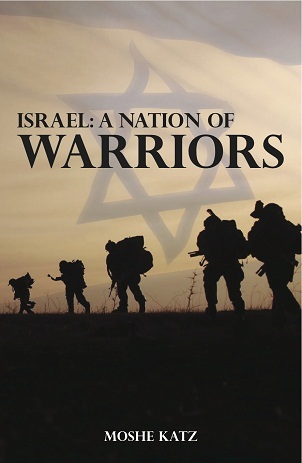 Israel, Krav Maga, the Bible, the Israel Defense Forces, the role of women in the fighting history of Israel and the Jewish people. What role do women play in the Israeli armed forces? What role have women played in the fighting history of the Jewish people?